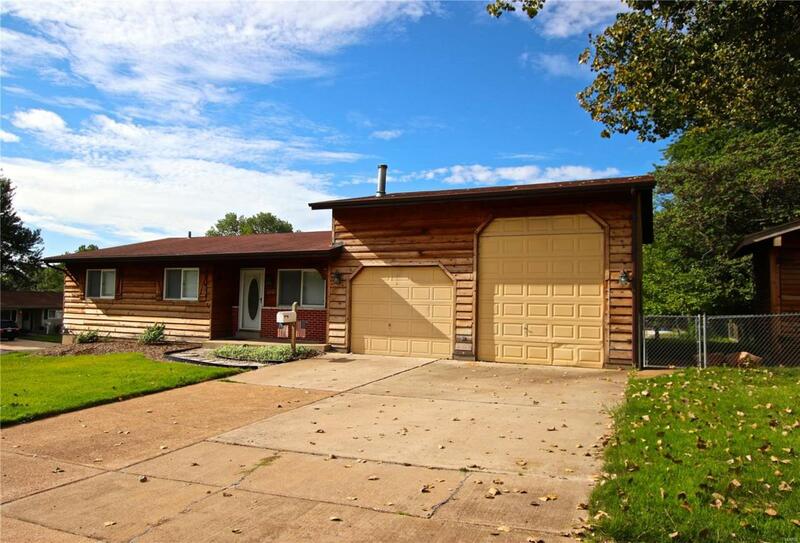 Wonderful move-in ready ranch with EXTRA large HEATED 26x30 Garage featuring an oversized door. The stunning cedar siding is matched by the beautiful hardwood floors that greet you at first entry. A spacious living area flows into the large dining room complete with fireplace and decorative mantle. The kitchen features a breakfast bar and gas stove top that compliments a built in oven. Step outside onto a private patio with built in BBQ pit. This yard is waiting for a green thumb to revitalize the fenced in garden area complete with tool shed. Back inside enjoy an updated bathroom that serves your family and your guest's needs. Slip inside the Master suite with large closet space and FULL BATH! Down stairs is mostly finished with large rec area, half bath, bonus room, laundry and large storage area! Come and grab this rare opportunity while it lasts!